Setting up a LAN is very easy using a Router but the problem is setting up for sharing files and folders across the users on the LAN, in case you are looking for easy alternative then you can try Squiggle which is a free LAN messenger that does not require a server and can run off a USB Drive. 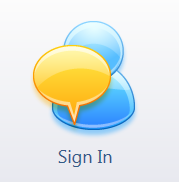 Squiggle has a very simple interface, and also has features very similar to any IM client, users can also set status messages. KouChat – A JAVA based LAN Chat Client. Tray popups for online/offline users. Just enter a user name of your choice to identify yourself on the LAN and next you can find all the users on the LAN in the friends list.Your status can also be set to Online, Busy, Offline, Away, or Be Right Back.To share a file with a user on the LAN, select “Send a File” under “Action” Menu and next select the user and next browse and select the file that you would like to share with our friends. Squiggle being a portable app is light and leaves no tracks and makes it easy start and conduct a LAN Chat.